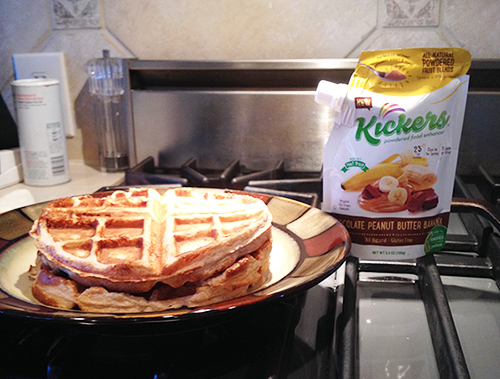 Kickers' fan Jim P. shared with us his recipe for Chocolate Peanut Butter Banana waffles and we wanted to share with you! Check out the full recipe below and "Sprinkle a little breakfast goodness" into your morning routine. Blend or mix with emulsion blender and cook through. If you try this recipe or have other ideas for Kickers' recipes, let us know what you think in the comments below!